Paris, 1789. Sophie Lutrell leaves her comfortable life in the English countryside behind for an extended visit with her cousin Héloïse de Guinot. 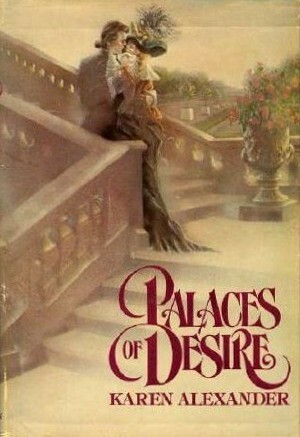 The two cousins are more like sisters, and they’re soon swept up in the romance and glamour of the Parisian court – and Sophie might forget her almost-fiance from home and let herself be swept off her feet by the dashing American William Jones (a secret spy for the American government). 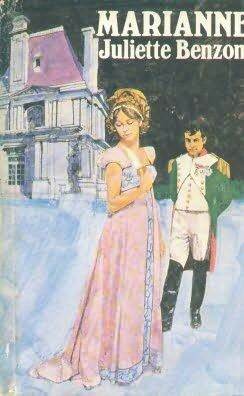 Héloïse is unhappily married off to the Comte de Choissy, but she soon finds love in the arms of a French soldier, Louis d’Epinon. The third female in this story is that of Héloïse’s maid, Marie-Victoire Bonnard, who finds love in the arms of a revolutionary – but that love comes at a great personal cost. They threw their hats into the air, screamed their joy and fought to dip their handkerchiefs into the blood. You have heard what they say about the Conciergerie? The hell from which there is no route save by the little window of the guillotine. Let me tell you, that was some pretty intense stuff at the end. I did have a pretty rocky start with this one, the early chapters were very short and there was a lot of head hopping (third person, but still annoying), and I admit to thinking about bailing out of this, and glad I hung on. The different POVs give the reader a bird’s-eye view from multiple perspectives, from the glitz of Versailles to the underbelly of Paris. I’ll just add one word of caution – this is not a fluffy, feel good, romantic HEA kind of book, so if that’s your cuppa tea I suggest you move along. One word of caution for cover geeks, my copy ISBN #0-553-28448-7 has the cover posted above, but when you search swap/seller sites by this number it pulls up the so-ugly-I-won’t-even-post-it-here cover. I have no idea which cover you’ll get, so don’t blame me if you get that other one. One odd thing is the author’s Afterward. She writes as if some of the characters in the novel were real historical people, yet I’ve not had a hit on any of them on Google. Any one out there have an answer for me? After the death of her father, Nicole de Clervaux becomes the ward of the ever-so-handsome, filthy rich, powerful Duke of Falkland. William brings her to Versailles, where the decadent lifestyle of the rich and famous are a bit of a shock for a sheltered girl from the country, and it doesn’t help much to have a guardian right in the thick of it all. Nicole runs afoul of one of William’s mistresses and after being caught in a compromising position not of her making, and is packed off to the family estate in Bordeaux. With a revolution in full swing, things get a bit tense in France and William slips her out of the country and packs her off to his family castle in the north of England – but can our intrepid heroine stay put for her own good like she’s told to? No, she can’t. Despite the night of passion they shared in Bordeaux, William and Nicole just aren’t able to talk to each other, although to be fair William’s on bunches of super-secret missions for King George. Nicole feels unwanted and finds a ship to take her back to Bordeaux and safety (fool, there’s a revolution on). Anyhoo, Nicole gets herself landed in prison and any day could be her last before she’s sent off to the guillotine with the other aristocrats. Oh heck, there’s a whole lot more, but it’s getting tedious trying to recap it so I’m going to stop. There’s a surprise appearance at the prison, a secret wedding, an escape gone awry, a quick trip to Egypt with Napoleon, lots of misunderstandings and many, many episodes of *reports of my death have been greatly exaggerated*. During it all, Nicole analyzes ever big misunderstanding to the nth degree with her perpetual could-have/should-have/would-haves. Argh. Ooops, one more thing – sexual content. Fairly tame compared to other books from this period, but there are a few seriously cheesy moments that will have you chuckling a bit. Not great, but not bad either. Library only. Oh, how to begin describing what this book is about? Set mainly on the north Devon coast during the 1790’s, the main focus of the story is Lord Thomas Eden, the Fifth Earl and Thirteenth Baron of Eden Point and Marianne Locke, fisherman’s daughter. 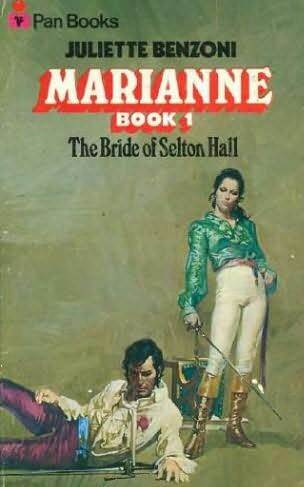 Marianne manages to catch Lord Thomas on a bad day and he orders a public flogging, which she barely survives. Marianne’s recovery is slow, and she’s eventually sent to live with her sister Jane in London (Jane isn’t exactly thrilled to have a much more beautiful sister living with her). Circumstances bring Marianne back into Thomas’ life and let’s just say he’s hot to have her, and his mindset just doesn’t grasp the word NO. The chase is on and Lord Thomas will go to any lengths to have her, and he’s ably assisted by Marianne’s double-dealing sister Jane. Let’s start this by making one thing perfectly clear – I’ve read both The Tea Rose and The Winter Rose by Donnelly and loved them enough to buy copies for my keeper shelves. I don’t normally read YA novels (especially not those with contemporary settings), but the premise with the historical setting intrigued me, so when it became available on Amazon Vine I decided to give it a try. 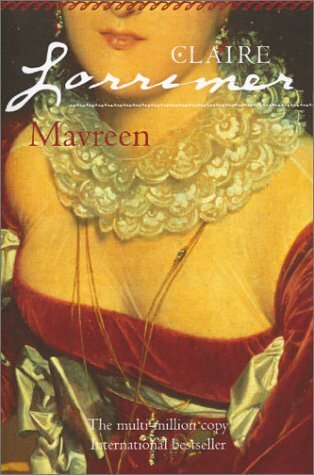 Mavreen is the illegitimate daughter of Sir John Danesfield, a result of an affair with his daughters’ governess. Sir John learns of the existence of a child years later, and hoping for a son he heads for the Sussex farm where the child is living and despite the disappointment of a girl (gasp! ), he is so impressed with Mavreen’s intelligence and indomitable spirit that he makes arrangements for her proper education. Sir John also has a young ward, Gerard de Valle (Gerard’s mother put him into Sir John’s care during the height of the French Revolution), and Mavreen has loved him since she was a youngin’. When he matures, Gerard returns to France to fight for the royalist cause and eventually returns to England years later to find a very grown up and most delectable Mavreen. 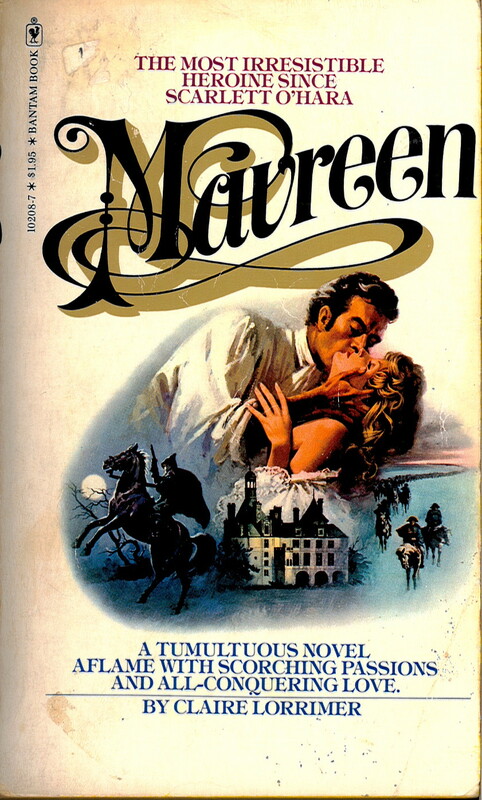 Of course it’s true love until death do they part, but Gerard needs a rich heiress to help restore his family home and being a penniless by-blow Mavreen is pretty much out of the running. What follows are plentiful ups and downs and too-brief reunions amidst looooooong separations as our pair of lovers battle fate, amnesia, ill-advised marriages, the Napoleonic wars, the Russian winter and more. Despite some OTT situations that might seem a bit of a stretch (you would think that finding one soldier in Napoleon’s army in a country as vast as Russia would be like finding a needle in a haystack but our Mavreen she can do it all ;)), this was still an enjoyable romp. Note: whilst our heroine is stubborn and independent to a fault and she does have quite the adventurous life, this is not your usual foot-stamping TSTL always needs the hero to get her out of her latest pickle kind of heroine. Our Mavreen takes care of herself, with a little help from her faithful servant Dickon. 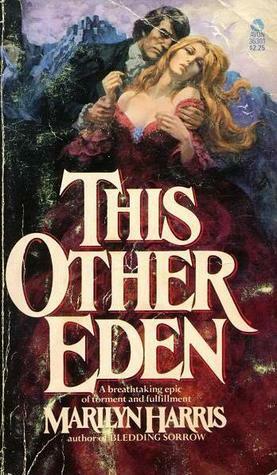 This is the first in a trilogy, the next two being Tamarisk and the last Chantal (oh, wait until you see that cover). There’s a bit of telling instead of showing here and there, but otherwise a solid entertaining romance with a good dollop of history. 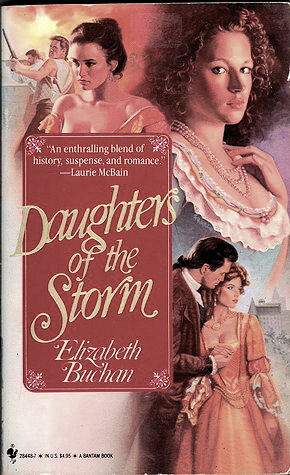 From the page listing at Fantastic Fiction Lorimer has quite an interesting backlog of historicals/romances and she also writes under the pseudonym Patricia Robbins. Laker’s tale of Sophie Delcourt starts in 1793 at the height of the French Revolution as Sophie is forced to flee to England with her employer’s young son Antoine de Juneau and his aging grandfather, as the revolutionaries hunt down and kill any members of the aristocracy they can find. Sophie reaches England in safety by is set upon by villains who attack her party and rob them of everything and leave them for dead. Found by the gorgeous (of course) and mysterious (of course) Tom Foxhill she eventually recovers from the attack and she and Antoine settle in Brighton, England with young Antoine posing as Sophie’s nephew. 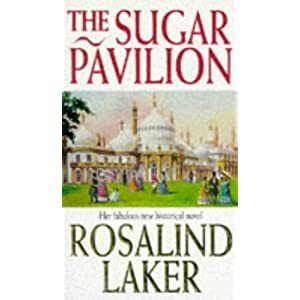 Sophie uses her skills as a confectionery to establish a business in her new life as she is torn by her strong attractions to Tom as opposed to the quiet but strong and loving revenue agent, Rory Morgan. Laker mixes Sophie’s tale in with one of George, then Prince of Wales, and his “wife” Maria Fitzherbert and their on again off again relationship. I have to admit sometimes it was a bit of a stretch the way commoner Sophie was able to step in and out of George’s and Maria’s lives without so much of a raising of an eyebrow, but otherwise this was a genuinely entertaining tale. As Sophie battles to maintain her independence while being courted by two men who love her, danger from France threatens as a relative of the de Juneau’s plots to harm Julian and remove any possibility of his laying claim to his rightful inheritance in France. The author does a nice job of setting her scenes and includes plenty of period detail, with the clothes, food, etc. To some readers it may be a bit much and it does slow the story down at times, so you’re not going to have a sit on the edge of your seat page turning story, but one to sit back and savor at a leisurely pace. Not the greatest entry in the historical fiction genre, but still a pleasant way to spend an afternoon in another century. Why no cover? Because most of the newer editions of this series are questionable translations and a bad translation = a mediocre Dumas novel. There are libraries that have the 100 year old editions and if you want to read this series I recommend going that route. The story begins in March 1793 as Louis XVI has been beheaded, Marie Antoinette and her children are imprisoned and the Committee for Public Safety has unleashed The Reign of Terror. Unaware of a curfew, a young woman is stopped by members of the National Guard but saved from arrest by Civic Guard officer Maurice Lindey. The woman disappears into the night but the enchanted Maurice finally locates her, and becomes friends with Genevieve and her older husband (who finds Maurice to be useful in his royalist plots). In the meantime, all Paris is abuzz over the mysterious Chevalier de Maison Rouge and his heroic attempts to secrete Marie Antoinette away from her fate with the guillotine. The story then goes back and forth between that of Maurice and his beloved Genevieve and a recounting of the final days of Marie (now called Madame Capet) and the various schemes of several royalist parties to save her. Although I did enjoy this book very much (it _is_ Dumas), this one just didn’t come off with the excitement and flare the previous six have done. Perhaps after six books I was approaching burn out, perhaps it’s because there was no sign of my favorite characters from the first five books, but this one just didn’t knock my socks off — although I very much enjoyed the love story between Genevieve and Maurice. They were very touching and I doubt I’ll ever look at a carnation the same way again. Have the tissue handy for the ending. I have been told that The Chevalier de Maison Rouge was written first and then Dumas was contracted to backtrack and write a series. The characters from the first five books are not in this last one so it is likely true. 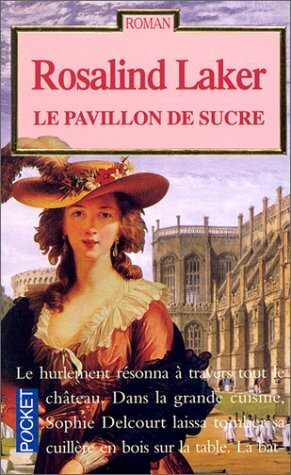 The Countess de Charny begins where Taking the Bastile leaves off after the attack on Versailles and the Royal family is “escorted” back to Paris by that same mob and are installed in residence at the Tuileries Palace, while the various factions of the National Assembly sort out the politics and fate of the Royal Family going forward. Gilbert returns as a royalist trying to keep Louis on the throne, albeit without absolute power, and the ever mysterious Count Cagliostro (formerly known as Balsamo) plots with the Freemasons to manipulate the revolution to a higher level. Also returning is the beauteous Andrée who shares a secret with Gilbert that promises to destroy the happiness she and de Charny are finally on the verge of finding (I did not see that one coming!!) and Marie Antoinette (who loves de Charny) is happy to use Andrée’s secret to keep the two lovers apart. Much of the book details known history as Louis attempts to take his family out of the country to safety, their ultimate capture and return to Paris, as Dumas weaves his fictional characters and their lives amongst those of Louis, his court and the battling factions of the National Assembly. From a secret meeting with the Freemasons as the Duc d’Orleans is sworn into membership and plots against the crown, to Dr. Guillotin’s tests on his “humane” invention on life size models (very creepy), to the angry mobs of Paris, to the battling parties of the National Assembly Dumas takes the reader on a fascinating journey leading up to the final horror of the revolution as The Terror begins in the sixth and last book in the series, The Chevalier De Maison Rouge a Tale of the Reign of Terror. Some readers might find parts of this a bit slower paced as it’s more a retelling of history and not too much action, but I loved every minute of it. Note — there are several newer publications out there that may or may not be good translations. With one exception, The Queen’s Necklace (a disappointing read due to bad translation), I’ve stuck to the early 1900’s version published by a PF Collier and Sons. If you are interested in reading this series I recommend you stick with those. I had no problems getting copies of my via the library and they are available used online at a reasonable price. Wow. It was paragraphs like that that just knocked my socks off. I always knew Dumas was brilliant, but he really outdoes himself in this book. Taking the Bastile is the fourth in Dumas’ six book series retelling the French Revolution and begins several years after the close of The Queen’s Necklace. The first third of the book retells the events leading up to and including the storming of the Bastile through the POV of Ange Pitou a young orphan from the countryside and his comrade in arms the farmer Billot. Agents of the French government remove papers from Billot’s farm that he is storing for Dr. Gilbert, which sends he and Pitou to Paris to advise the doctor of the theft. They find Gilbert (yes, our young Gilbert from the first two books) imprisoned in the Bastile and are swept up with the rest of the city on that fateful day when all Paris attacks and destroys that symbol of tyranny. Gilbert is rescued and discovers that the person who ordered his imprisonment is the Countess de Charny, a name he does not recognize and goes to Versailles in search of answers. Presented to Louis XVI as a doctor of renown (being a pupil of Balsamo in the mystic arts), Gilbert discovers that the countess is the beauteous Andrée whom he loved as a young boy. 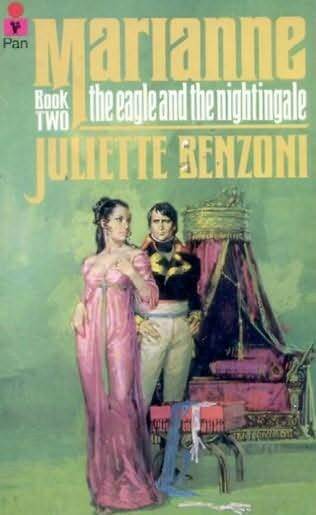 Andrée denies any knowledge of Gilbert or his imprisonment until Gilbert uses his magnetic powers and hypnotizes her (very creepy) to gain the truth — there was an incident in the second book where Andrée had been compromised by Balsamo and Gilbert and she feared exposure and scandal. As Andrée recovers from Gilbert’s ministrations we see that she is in love with her husband the Count de Charny, who loves the Queen (who returns his love), to Andrée’s great sorrow. 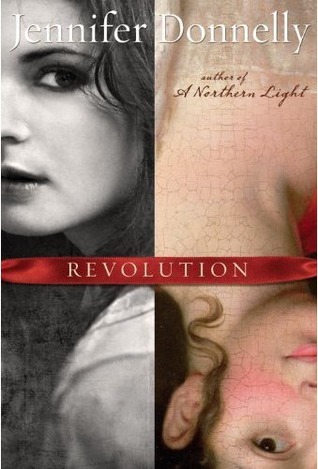 The story then switches back and forth between the actions at the court of Louis XVI and the growing violence and restlessness of the Paris mobs as Dumas recounts the events leading up to the Women’s March on Versailles demanding bread and the subsequent mob storming the palace sending the royal family on a mad dash for safety (unputdownable!). The final 100 or so pages of the book detail Ange Pitou’s return to his country village and the logistics of how the villagers were converted from the mindset of being simple farmers working for a living to the rationale of the revolutionary and setting up a local national guard. That’s about as much of the plot as I’m going to try and detail, the bulk of the book is known history as Dumas recounts the terror of the revolution from all walks of life in late 18C France, the countryman, the farmer, the Church, the Paris citizens and the royal court of Louis XIV and Marie Antoinette. Some readers may find a slow spot here and there at the beginning and end of the book, but other than that I found it quite unputdownable. Next up in the series, The Countess de Charny. Side note, there are several newly published versions of these books and some are poorly translated — one of those being The Queen’s Necklace (published by Wildside) which I had purchased prior to realizing this was a series, and I found the quality of the story sorely lacked from that bad translation. Dumas with a mediocre story and boring dialogue? Not on your life. The other three I obtained very old copies published by PF Collier and Sons in the early 1900’s and I strongly urge you to seek those out either via library or used (around $7), and I’ll be sticking with that for the last two books in the series.